The registration period is coming to a close on Wednesday 4 September. We have a record number of registrations already and close to capacity. Be sure to get your registration in NOW to be guaranteed a place in this Summer’s competition. Registration forms are available online. Payments for the 2013-14 Summer Season are due this Friday. Our registration fees are value for money. They go toward the cost of registering you as a player with the Brisbane Netball Association, insurance, a free night’s fitness training every week, umpire fees, cost of lighting courts on game night and at training, trophy day, equipment upgrade, Zumba, amongst other things. 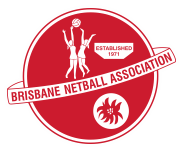 * This includes playing with Kedron Lions Netball Club Inc in the winter of 2013 or with a Netball Queensland affiliated organisation; eg Brisbane Netball Association (Bradbury Park), Downey Park Netball Association, or Pine Rivers Netball Association. An additional late fee of $20 will apply to all accounts that are not paid by 6th September 2013. Kedron Lions prefers payment by direct deposit. If you need to pay by cash please arrange with Simon Dann on 0478 015 332. Cheques and money orders must be payable to Kedron Lions Netball Club Inc and can be posted to PO Box 233, Chermside South Q 4032.